Britt Bradford and Zander Ford have been the best of friends since they met thirteen years ago. Unbeknown to Britt, Zander has been in love with her for just as long. Independent and adventurous Britt channels her talent into creating chocolates at her hometown shop. Zander is a bestselling author who’s spent the past 18 months traveling the world. He’s achieved a great deal but still lacks the only thing that ever truly mattered to him–Britt’s heart. When Zander’s uncle dies of mysterious causes, he returns to Merryweather, Washington, to investigate, and Britt is immediately there to help. Although this throws them into close proximity, both understand that an attempt at romance could jeopardize their once-in-a-lifetime friendship. But while Britt is determined to resist any change in their relationship, Zander finds it increasingly difficult to keep his feelings hidden. As they work together to uncover his uncle’s tangled past, will the truth of what lies between them also, finally, come to light? Zander. He was why I was dreading reading this book. I did not want to read about a man who was desperately in love with a woman who walked all over him…and…well…more on that later. But Wade hands down writes the swooniest heroes. They say the best things and they act in the best ways when the fall in love. I kept reading and thinking that men are not like this…but wouldn’t it be nice if they were. Overall, I liked Britt. It’s always difficult to love a heroine who has a wonderful hero who is madly in love with her while she stands there and acts clueless (though she doesn’t walk all over him!). Honestly, I truly felt Zander’s frustration with her half the time. That said, Wade did a lovely job of showing Britt and Zander’s relationship and the progression thereof. Britt has her reasons for such a delayed response to Zander and they actually make sense. The mystery. In each book, Wade introduces a small mystery. The mystery in this one was by far the best. I was intrigued from the get-go. You have this man who said he was one thing when he was really another, you have these Ocean’s 11 heists, missing art paintings…it was a lot of fun. Spiritually, this novel deals with how God is faithful when we’re faithless and what letting go and trusting Him really looks like. I will say that often the characters acted in real immature ways for people who had known God for a while (constantly and consistently lying to each other), but they do acknowledge that they are/were spiritually immature. To a certain degree, Zander and Britt’s relationship felt oddly circular. It kind of felt like when they disagreed, they were really arguing about the same thing in a different way. In that way, some of the tension felt a bit contrived. Sometimes I wanted to shake them both and just be like say what you mean and mean what you say. 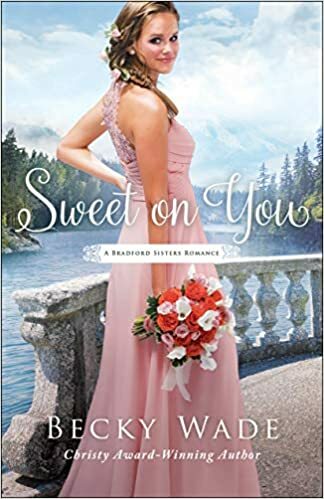 Overall, I will admit that this wasn’t my favorite in the series (first book was) but like any Becky Wade novel, it was a quick read with some lovely moments in it. Looking forward to her next series!